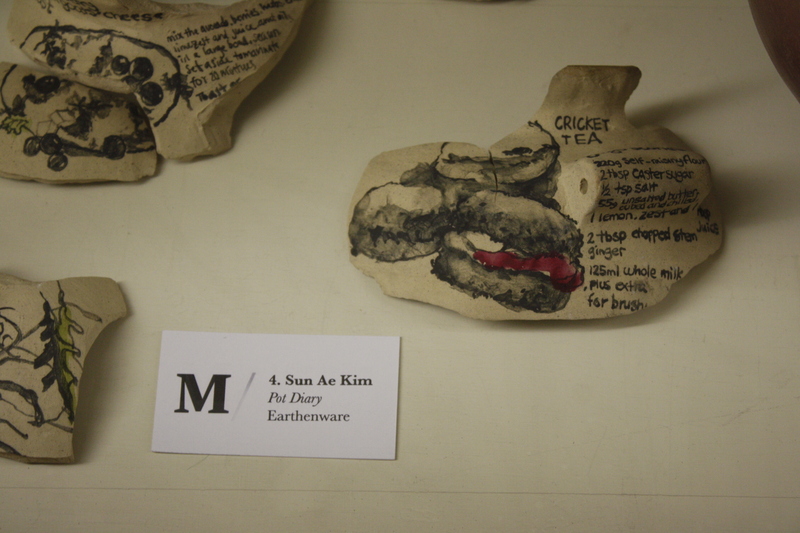 Sun Ae Kim’s work tells stories. 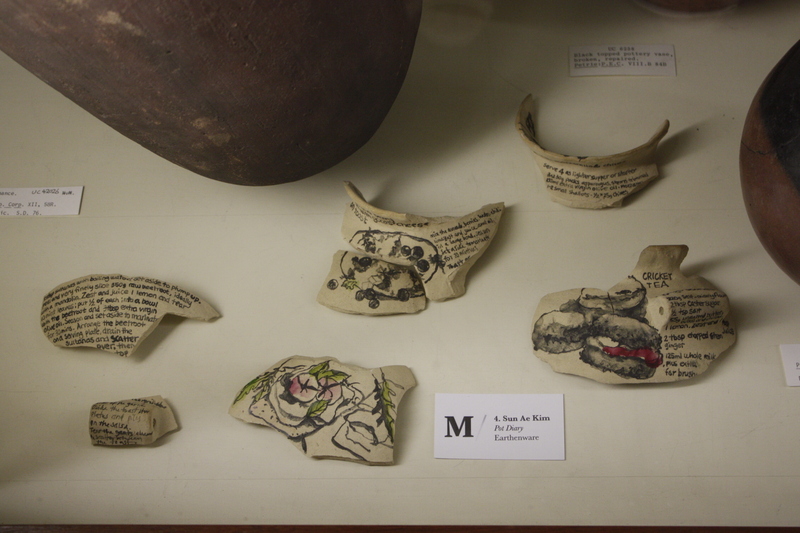 She often uses illustration on her ceramic pieces to bring her ideas to life. 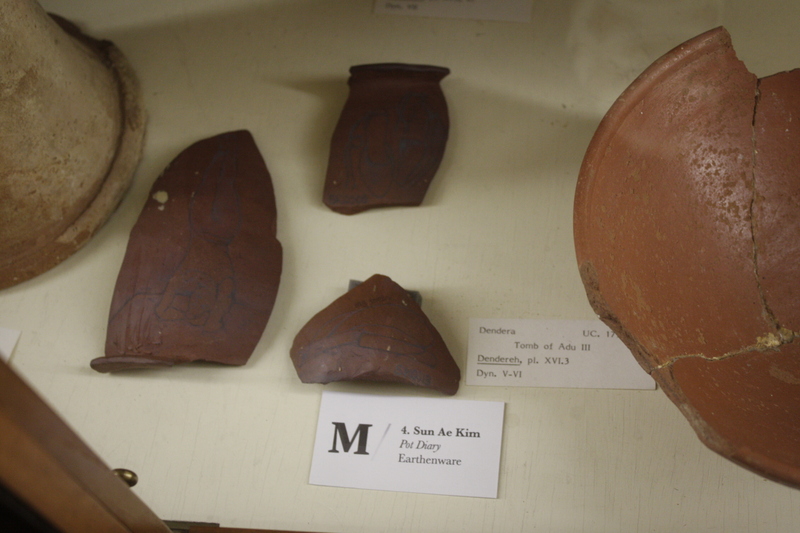 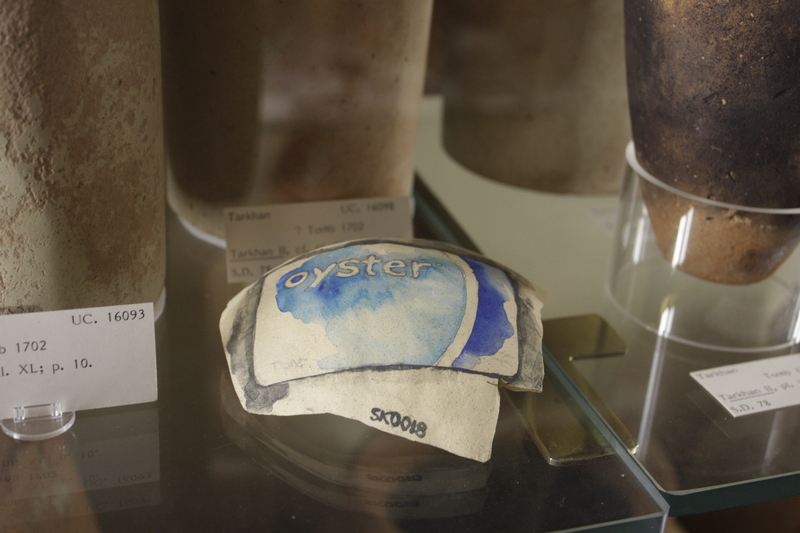 Kim’s work at the Petrie Museum was inspired by the Egyptian Ostraca (Ostracon), ceramic sherds that were historically used as a substitute to the highly expensive papyrus in ancient Egypt. 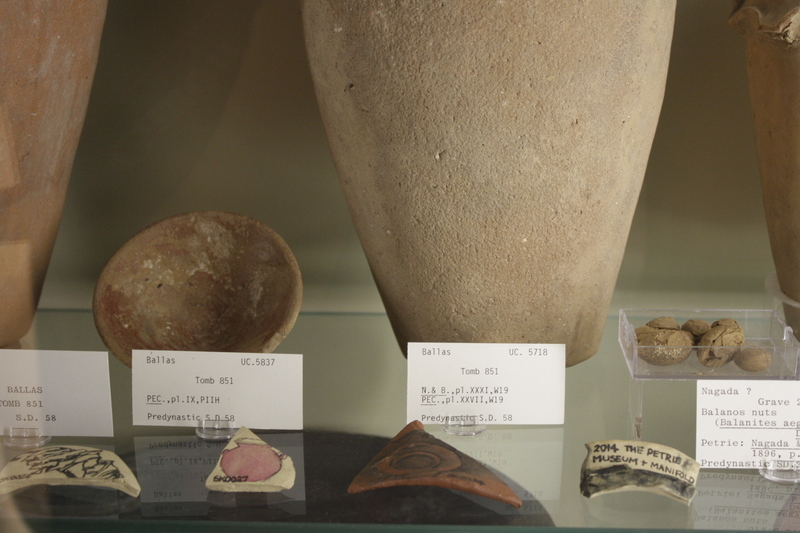 Kim was interested in the Ostraca at the museum that portray daily life in ancient Egypt. 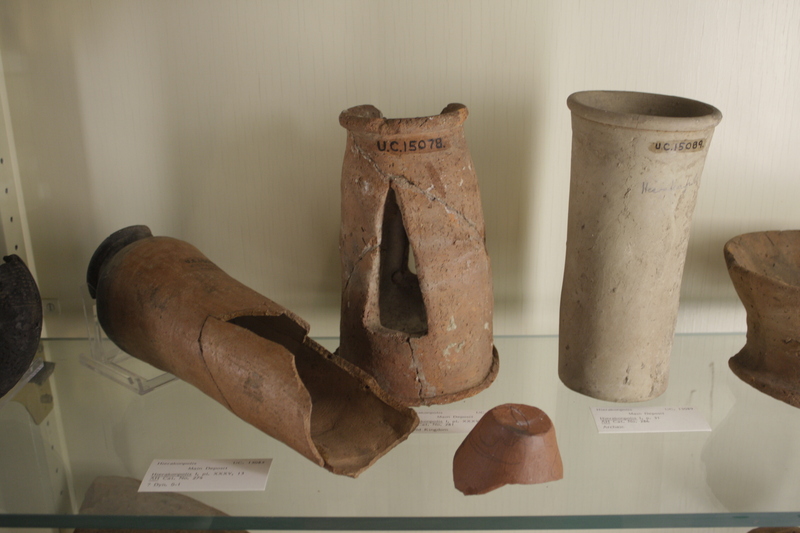 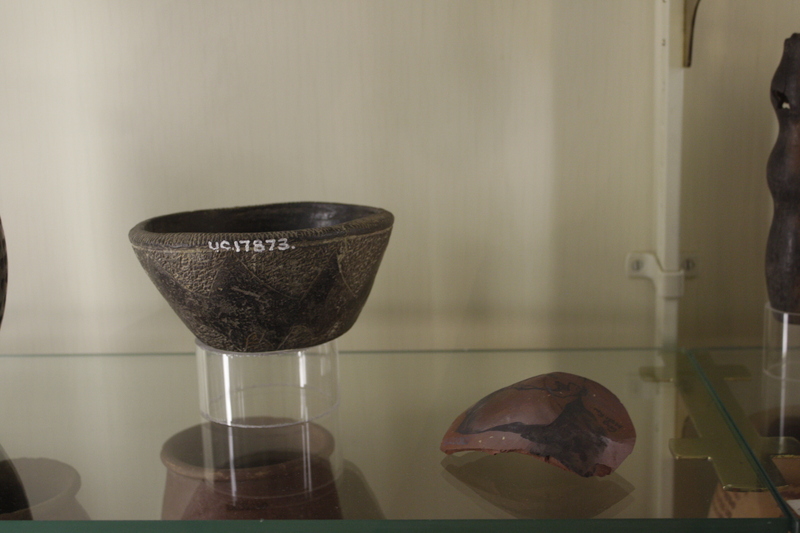 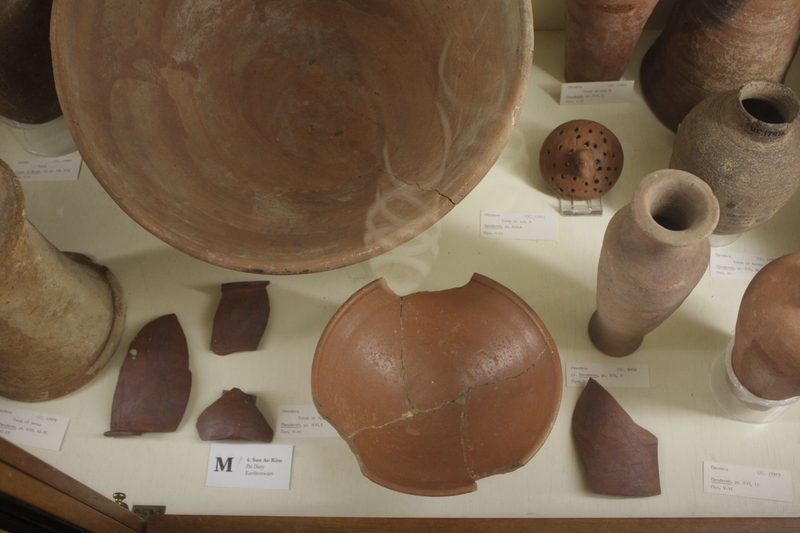 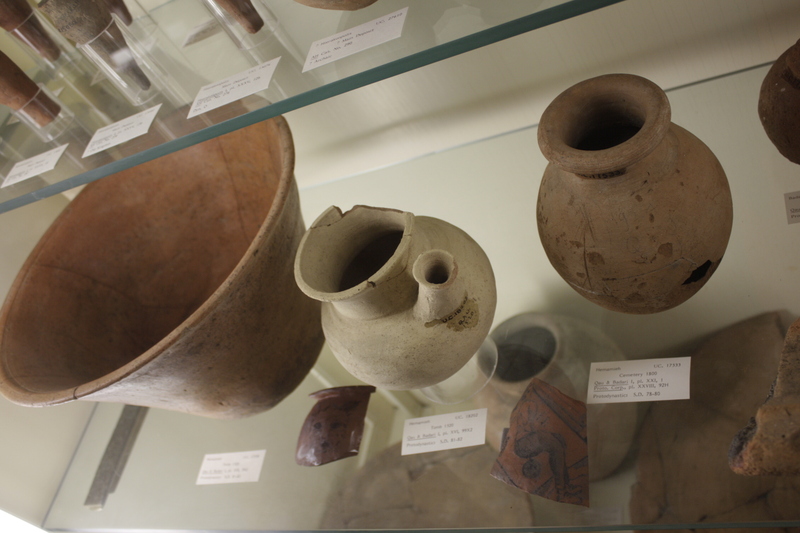 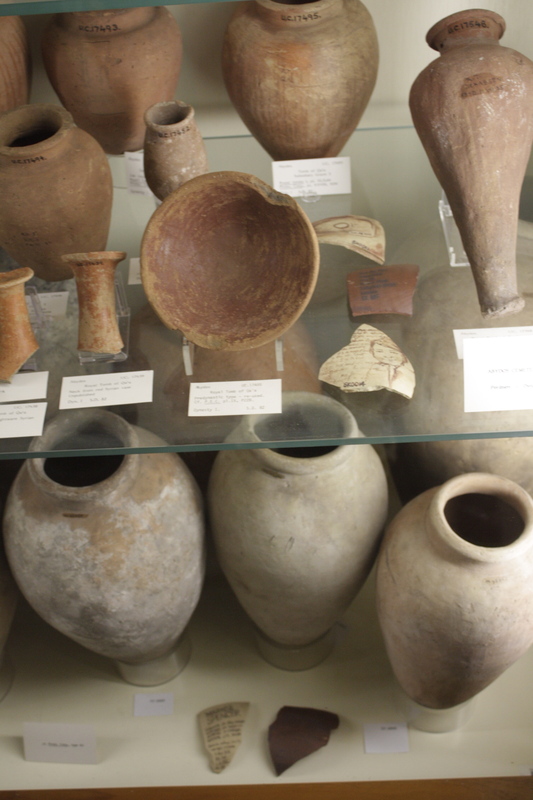 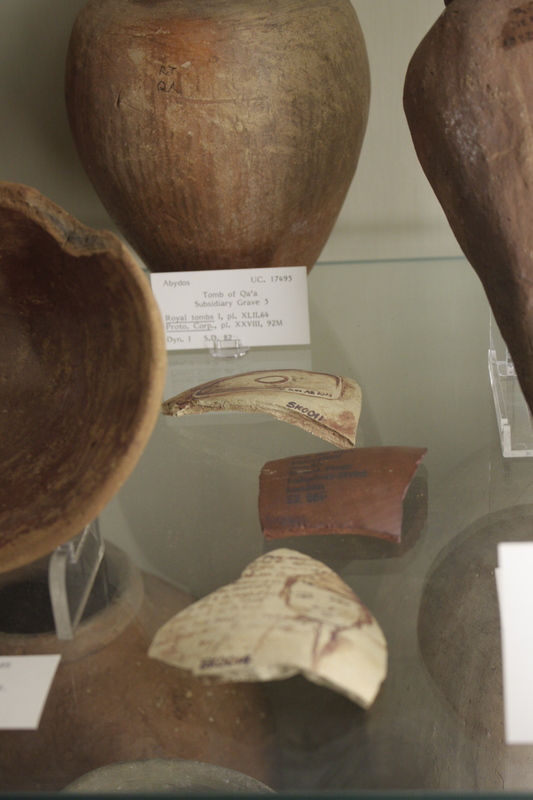 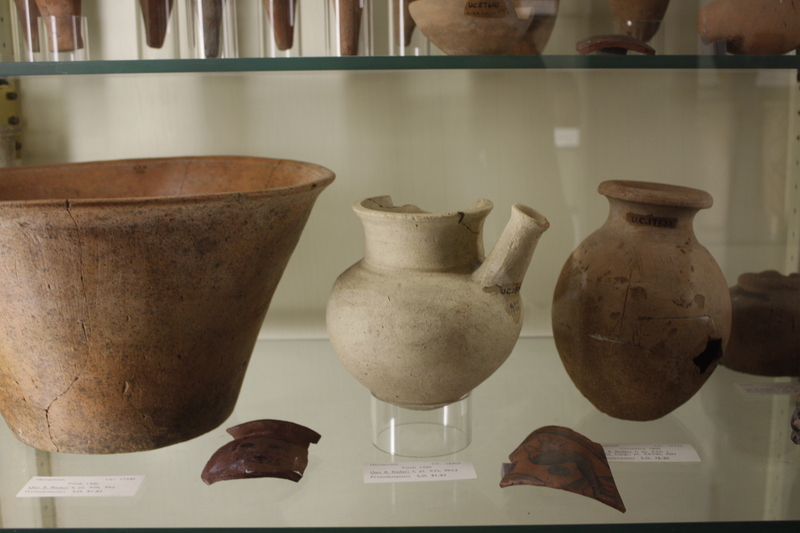 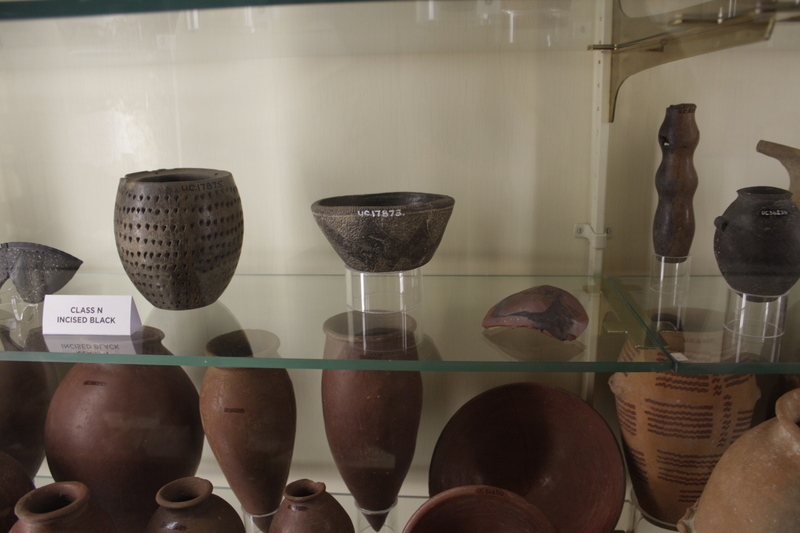 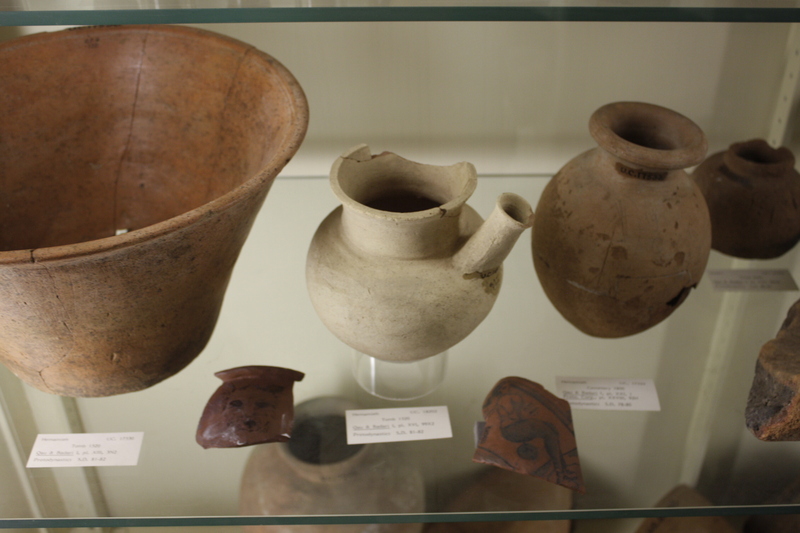 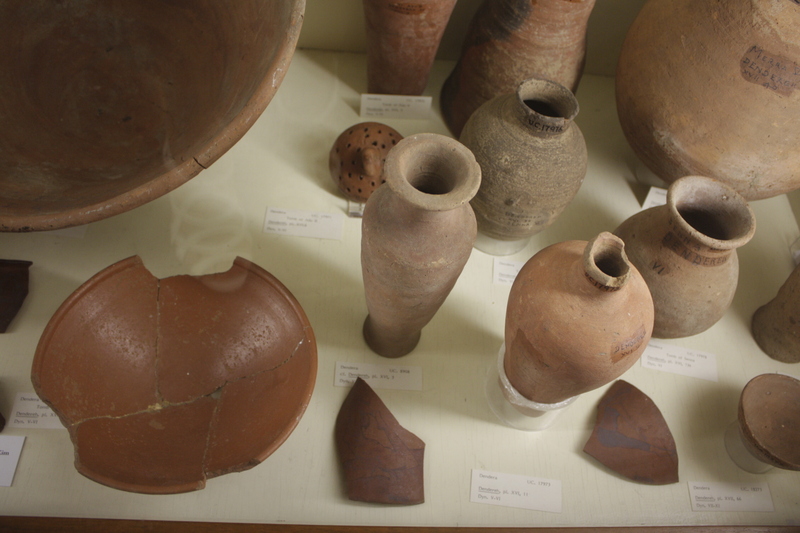 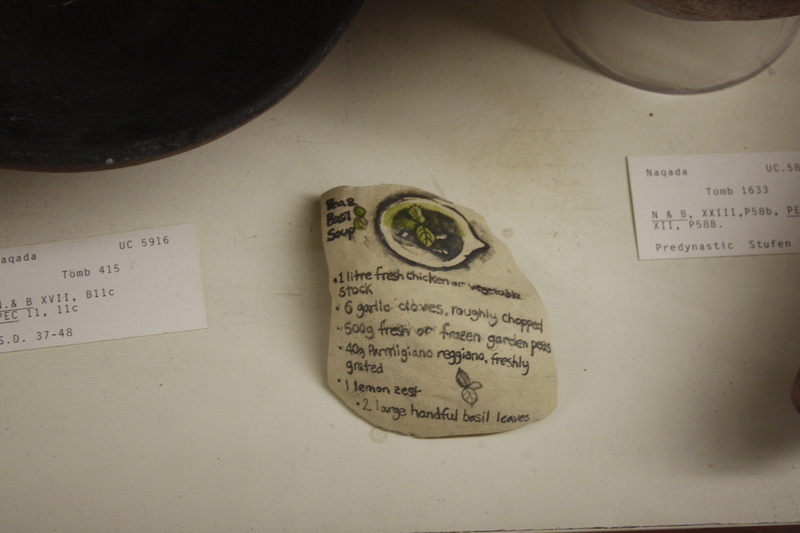 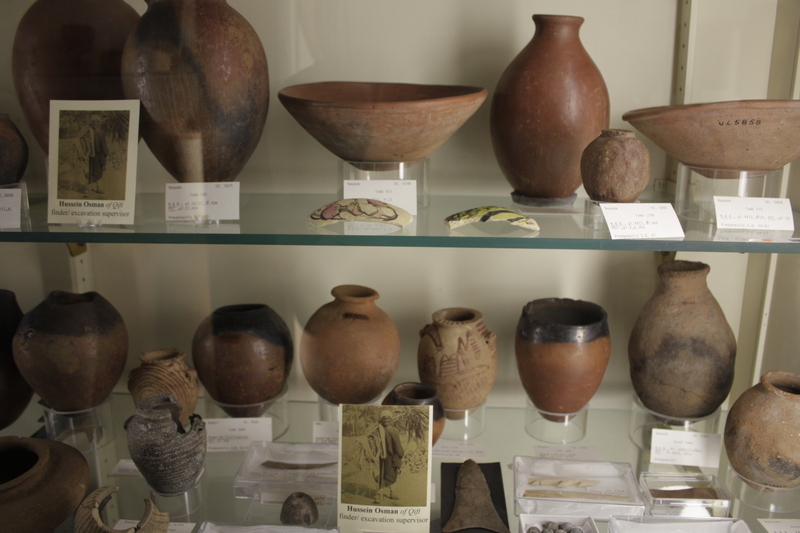 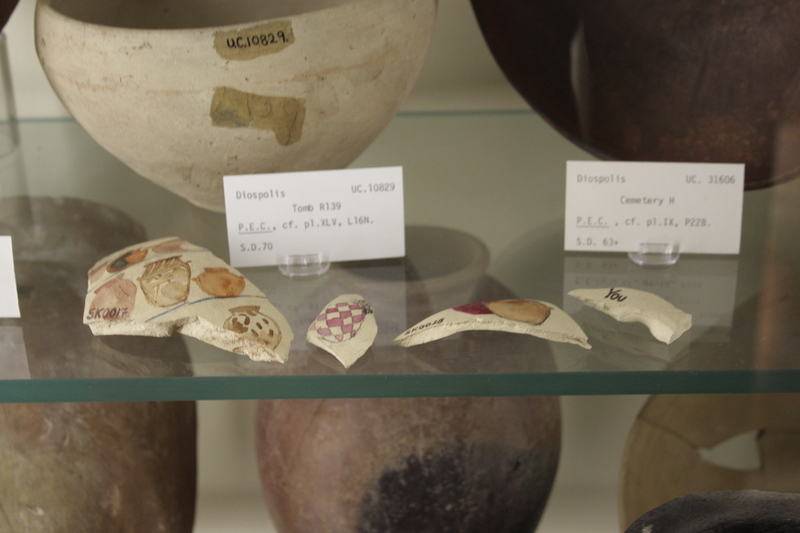 She made a series of pots, referencing those in the Petrie Museum and broke these into small pieces. 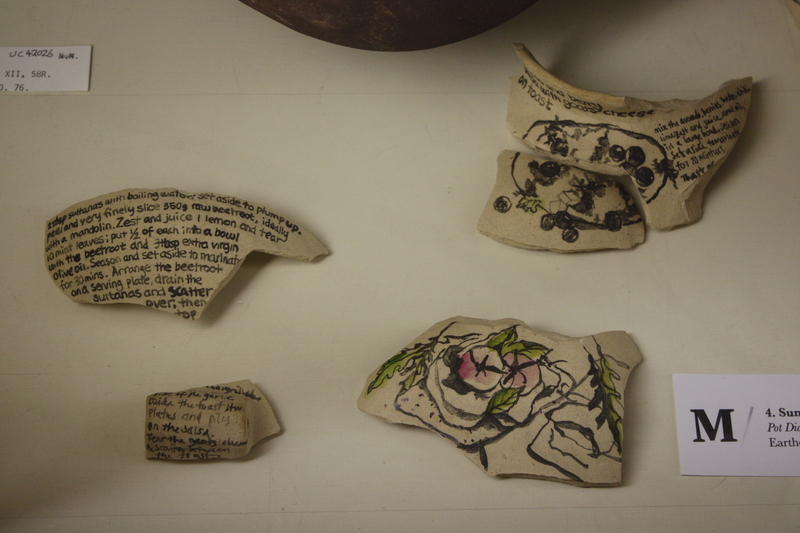 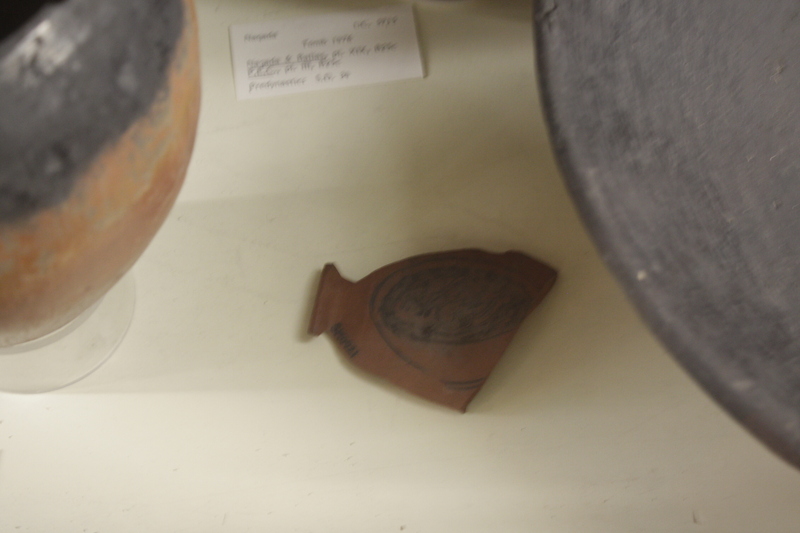 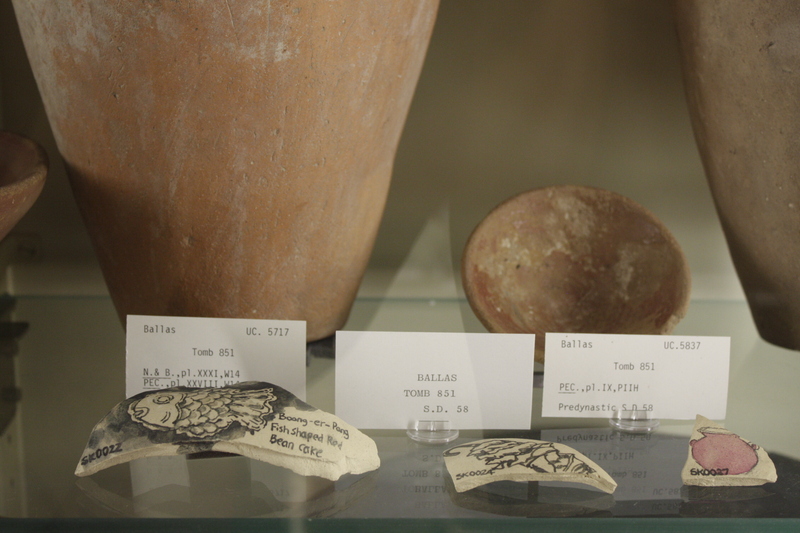 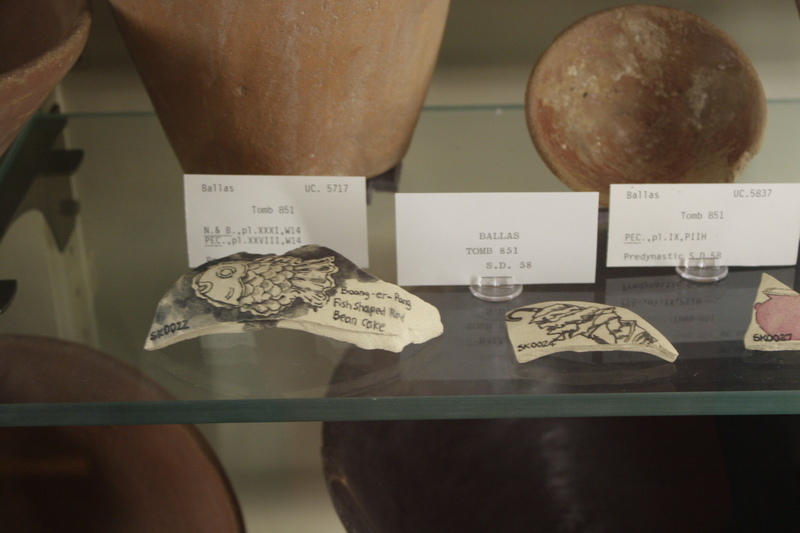 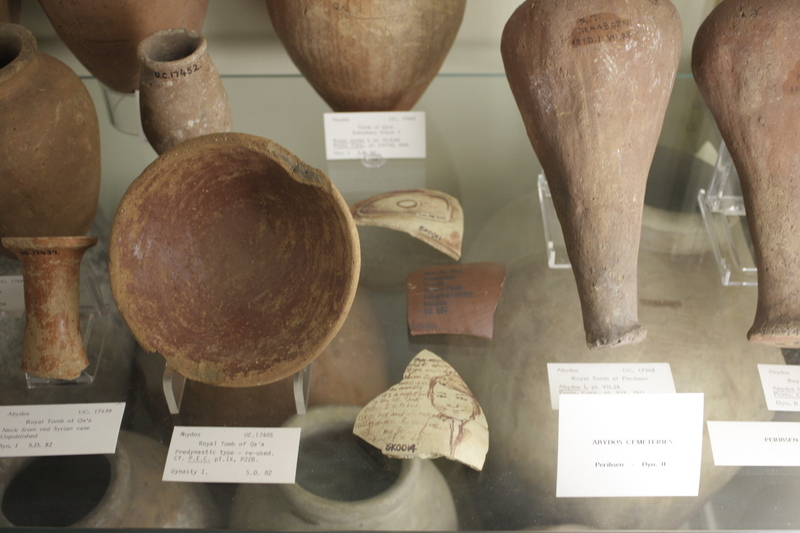 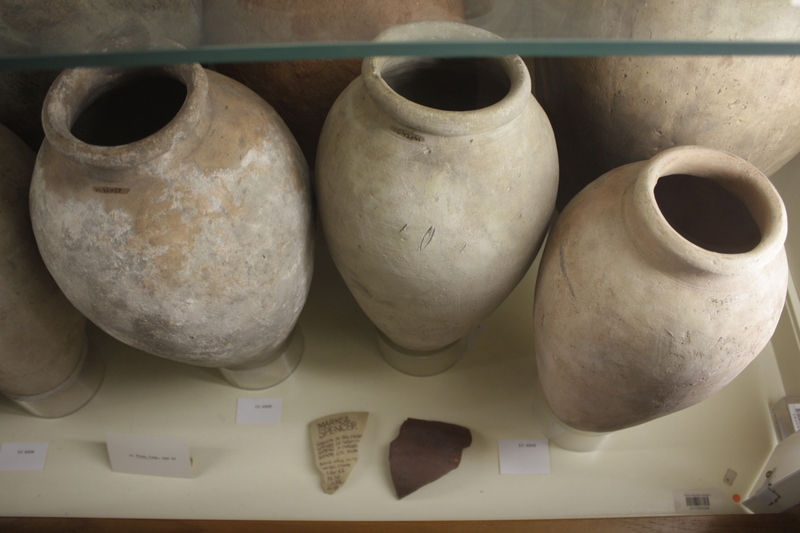 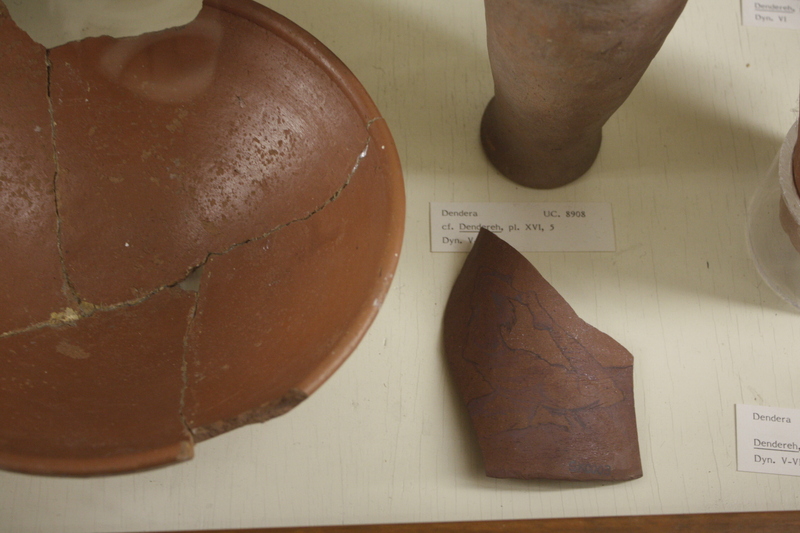 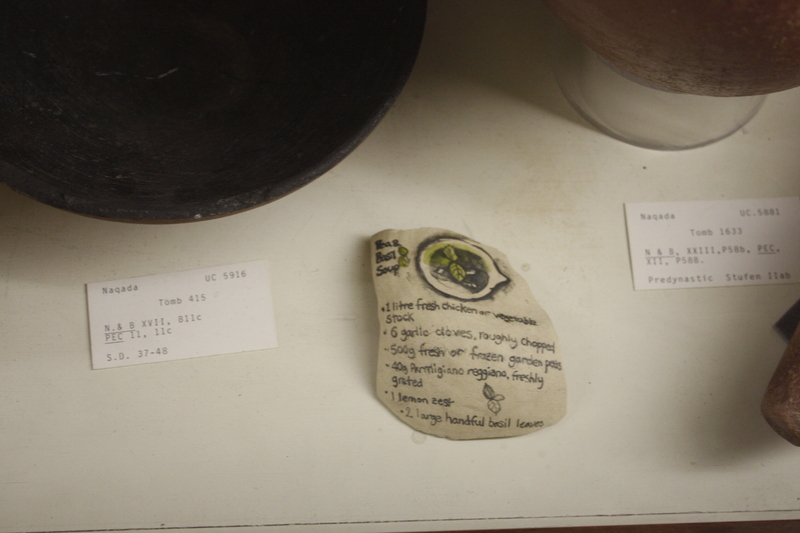 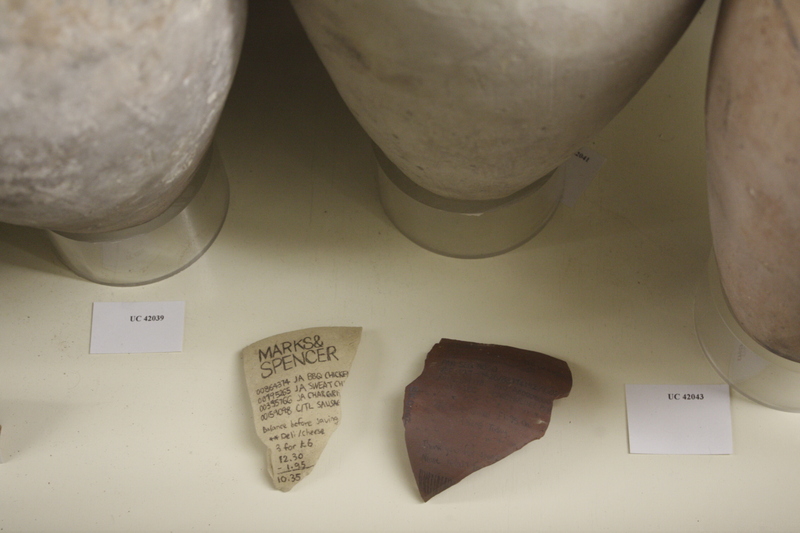 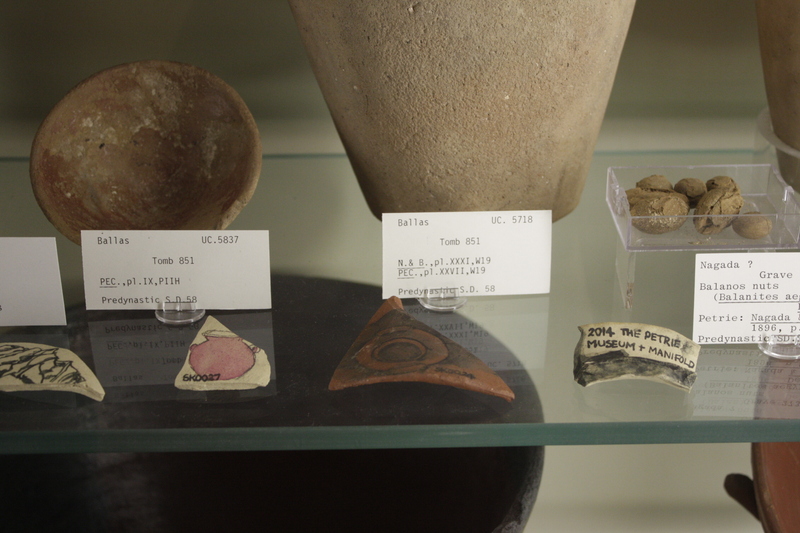 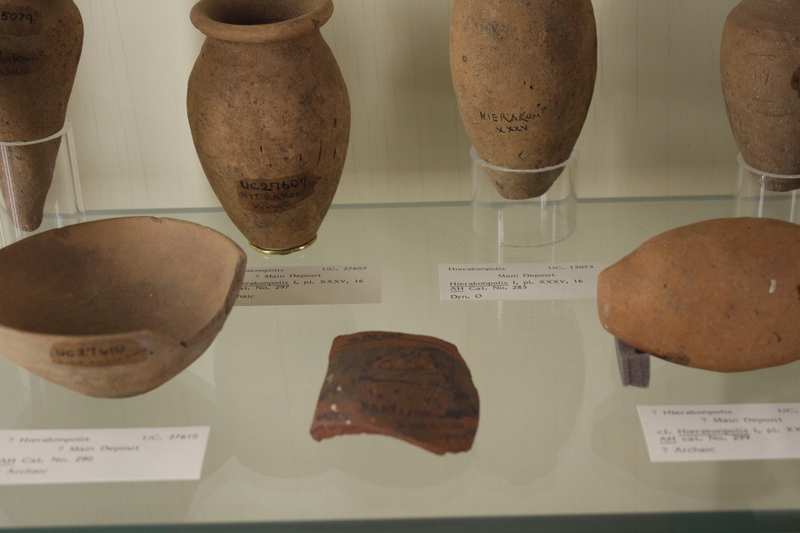 These pieces (or sherds) were Kim’s notepad, upon which she recorded everyday modern life in London.